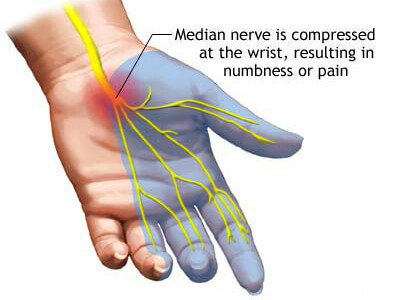 The carpal tunnel – a narrow, rigid passageway of ligament and bones at the base of the hand – houses the median nerve and tendons. 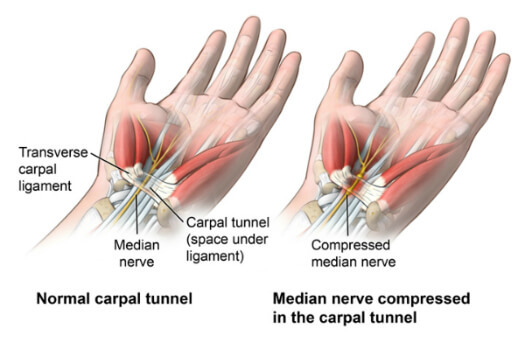 Sometimes, thickening from irritated tendons or other swelling narrows the tunnel and causes the median nerve to be compressed. Symptoms usually start gradually, with frequent burning, tingling, or itching numbness in the palm of the hand and the fingers, especially the thumb and the index and middle fingers. Some carpal tunnel sufferers say their fingers feel useless and swollen, even though little or no swelling is apparent. The symptoms often first appear in one or both hands during the night, since many people sleep with flexed wrists. Carpal tunnel syndrome is often the result of a combination of factors that increase pressure on the median nerve and tendons in the carpal tunnel, rather than a problem with the nerve itself. Other contributing factors include trauma or injury to the wrist that cause swelling, such as sprain or fracture; rheumatoid arthritis; mechanical problems in the wrist joint; work stress; repeated use of vibrating hand tools. 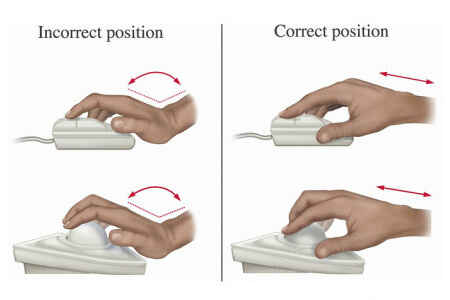 How can we help you with your carpal tunnel syndrome? 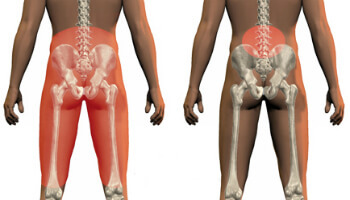 Chiropractic manipulation to reduce joint stiffness and fixation to increase local joint range of motion. Physical therapy/exercise to strengthen the supporting muscles. High-intensity ultrasound can be used to raise the temperature of a targeted area of body tissue to reduce pain and promote healing. A course of ultrasound therapy over several weeks help improve the symptoms of carpal tunnel syndrome.